I've always been slightly fascinated by fine-dining. You know - big plates, tiny food, stuffy atmosphere, not being able to pronounce let alone understand anything on the menu. It's a running joke amongst my friends and I that the hungrier you feel after a meal, the fancier it was. That being said, it's not surprise that my fine-dining experience is very, very limited being a broke college student and all, but luckily DC Restaurant Week lets me branch out a bit and try some of the places that have been on my radar, but I normally would never go dine in (on my own budget at least). This year, over 200 restaurants participated, offering 3 course prix-fixe meals at $20.15 for lunch and $35.15 for dinner. 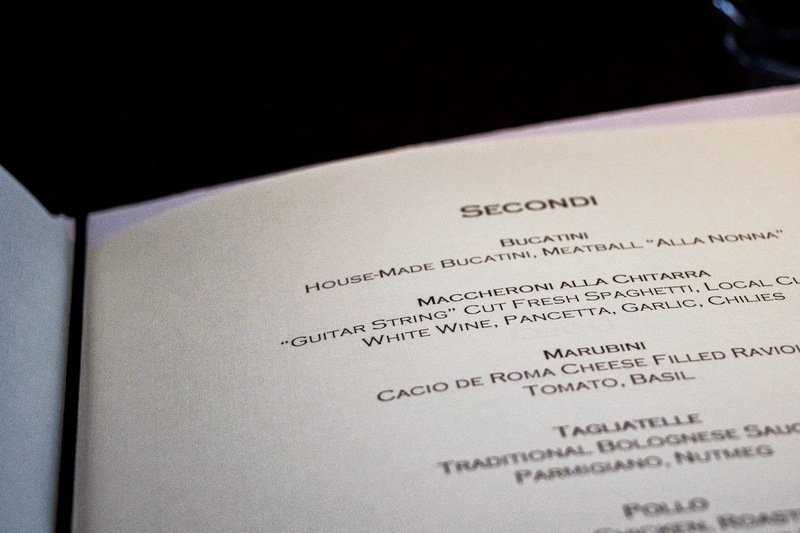 The first stop on my list was Bibiana. 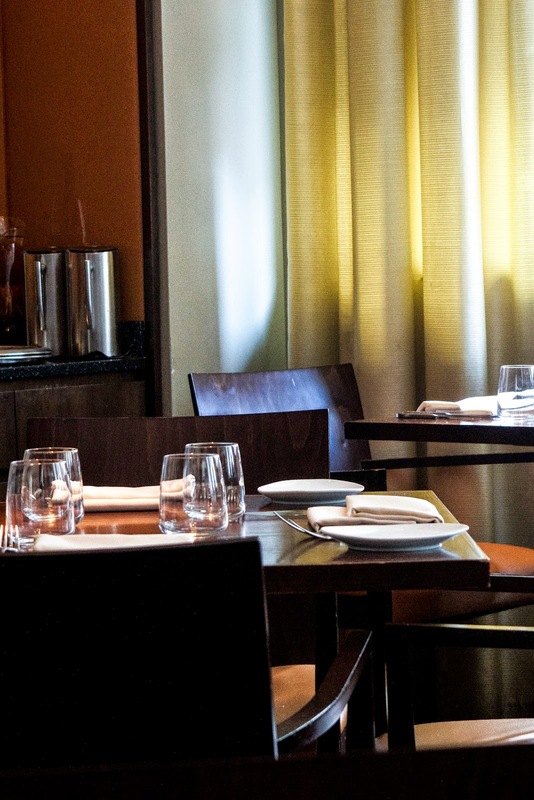 Bibiana is an award-winning restaurant that specializes in modern takes on Italian fare. The setting is sleek and modern, service is impeccable, and despite its trendy tendencies Bibiana has a distinctly rustic soul. I arrived at the later half of the lunch service and was surprised to find still a good amount of people dining. Nonetheless, service was still prompt, courteous, and attentive. 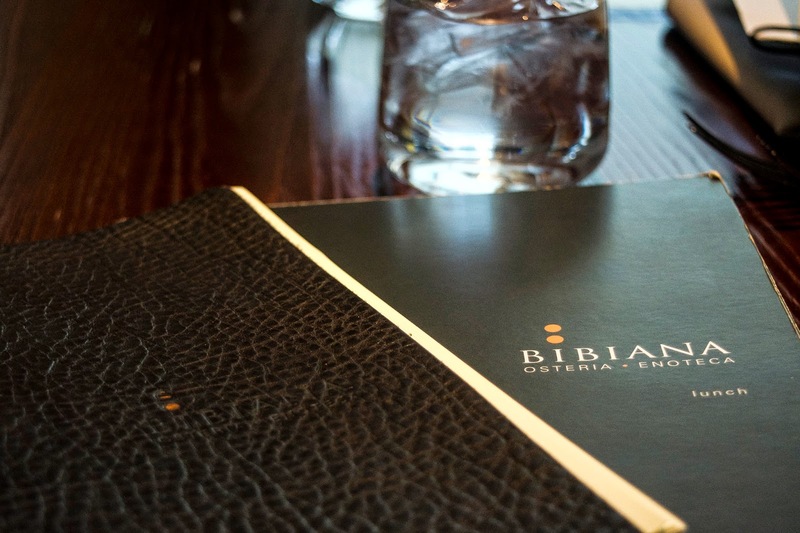 Bibiana's Restaurant Week menu offered a thorough sample of their standard menu with meat, pasta, poultry, and seafood options along sizable starter and dessert options. I'll shamelessly admit it, but I went into the restaurant armed and ready with my complete meal order prepared days in advance. Hey, I don't mess around with my food. 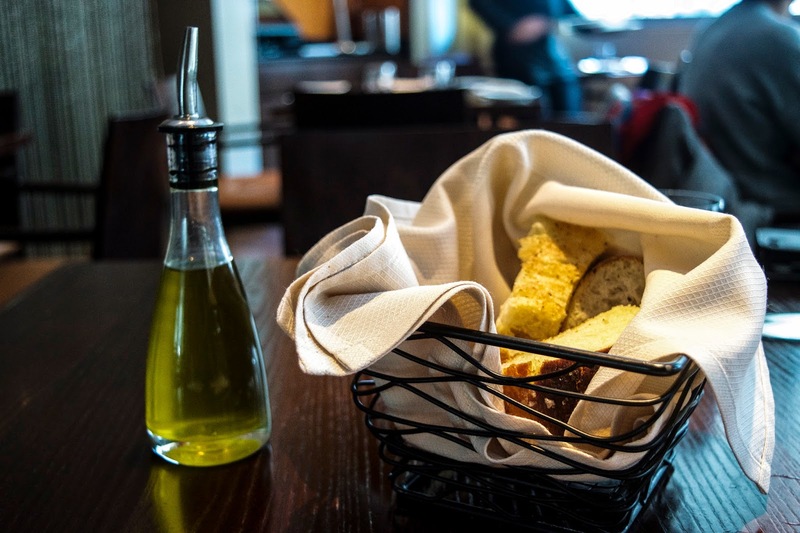 A bread basket and its accompanying oil arrived at my table about 2.789 seconds after our server took our orders. 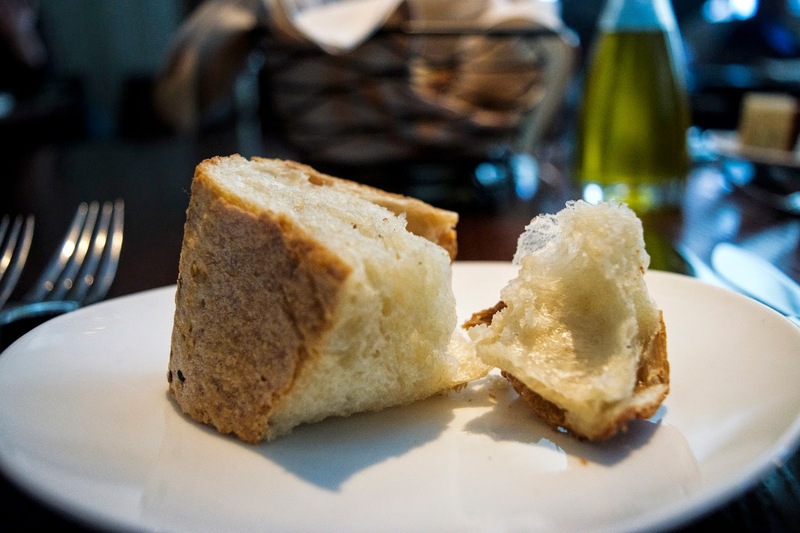 Of course, my rule with bread has always been to limit myself to one single piece to avoid filling myself up with "filler" before my main meal, but my gosh, this bread as a life altering experience. A strong, snappy crust topped with subtly fragrant seeds contrasted with an elastic interior with hints of fermented, yeasty goodness - this stuff is totally my jam. 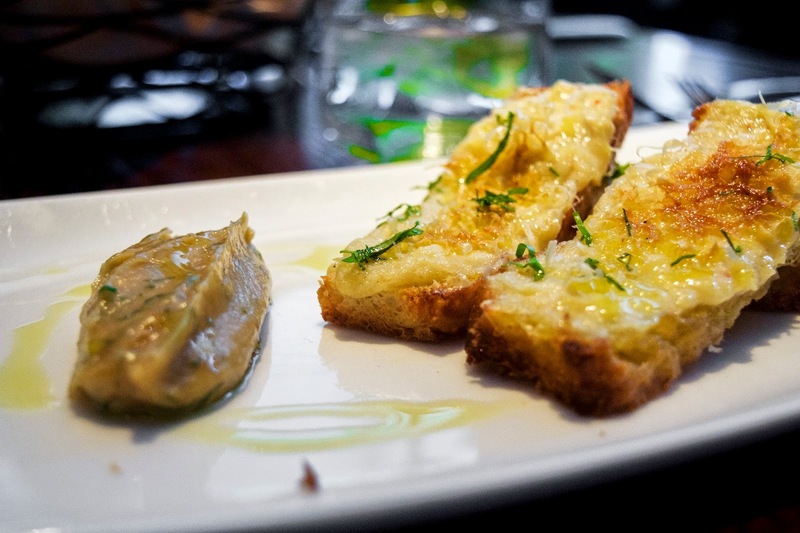 Served with a roasted garlic paste, the baccala mantecato is an intensely flavorful bite. It was a bit too salty for me, but I can see it as a delightful opener for someone with a stronger palate. 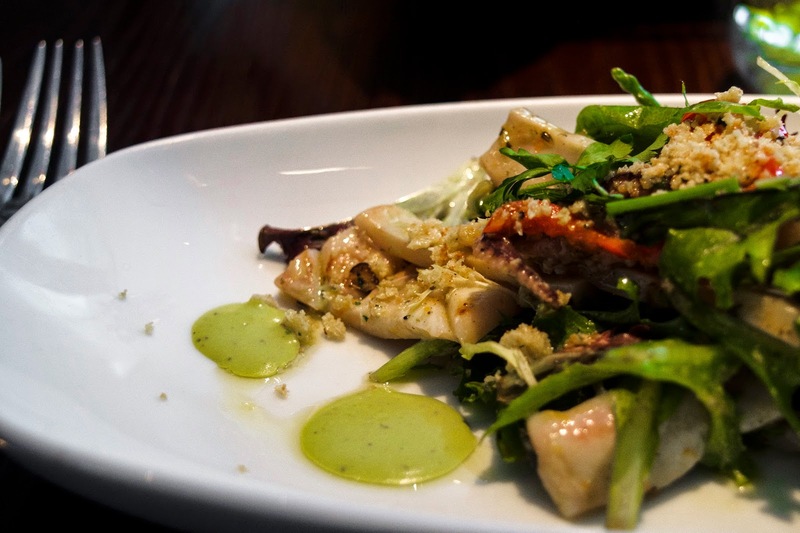 I was pleasantly surprised to find my salad absolutely brimming with calamari and perfectly cooked calamari at that - springy yet tender enough to easily cut with a dinner knife. While I wish that the vinaigrette was a bit more acidic to brighten up the salad and better wet my appetite for the meal, I did enjoy this dish. 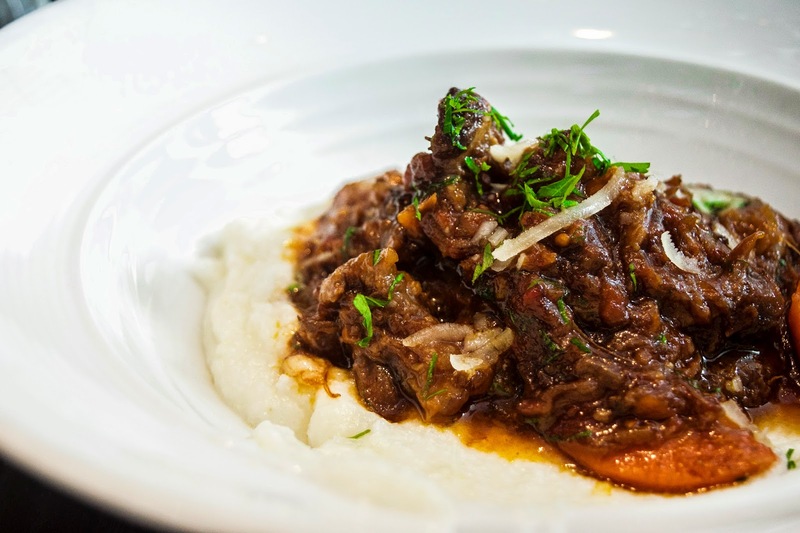 Tender, fatty, and flavorful, oxtail is a beautiful cut of meat and when prepared well it will just absolutely melt in your mouth. Bibiana's preparation brightened the oxtail's flavors that were muddled from the long cooking process with hints of sweetness and acid from both the red wine and tomato and served on a bed of creamy polenta, this was a hearty stick-to-yo-ribs kind of dish. 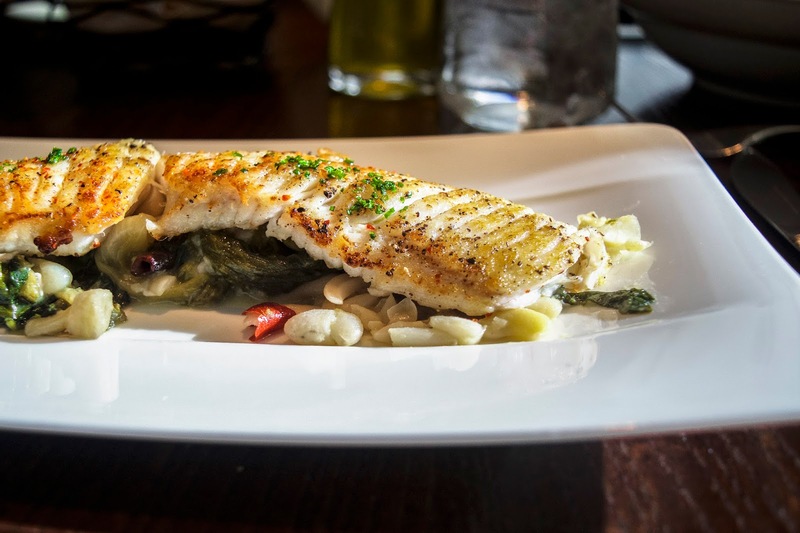 Skate is a more tough, lean, mild flavored fish and something I rarely ever find on menus so of course I jumped at ordering it and was presented with a fork tender, beautifully cooked piece - soft and stringy with a slight golden sear on top. Unfortunately the braised escaroles were a bit too salty and overpowered the delicate flavor of the fish. By the time dessert came rolling around my friend and I were both starting to slip into food comas, but hey - that's why we have a separate dessert stomach! 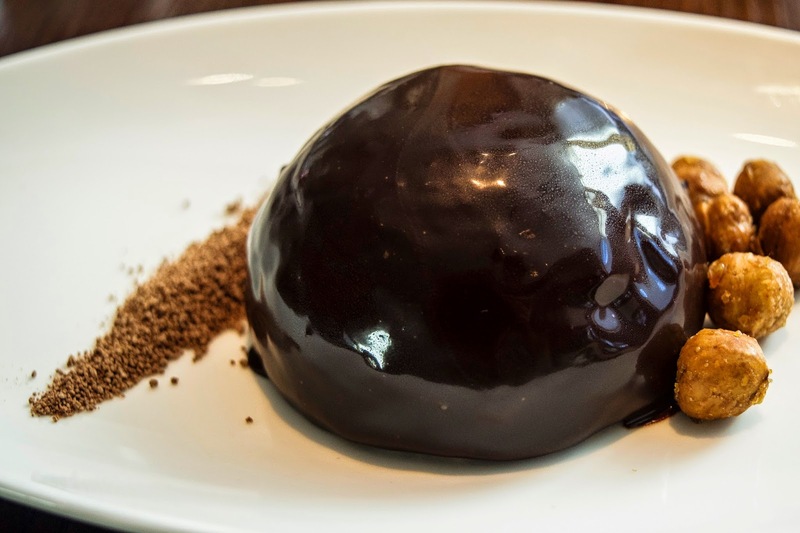 The zuccotto was intensely chocolatey with hints of coffee that just absolutely screamed decadence. Obviously no amount of fat or sugar was spared here and I'm not complaining at all. Of the two desserts, while I liked the flavor of the zuccotto more, as a whole I found the ciambella much more enjoyable to eat. 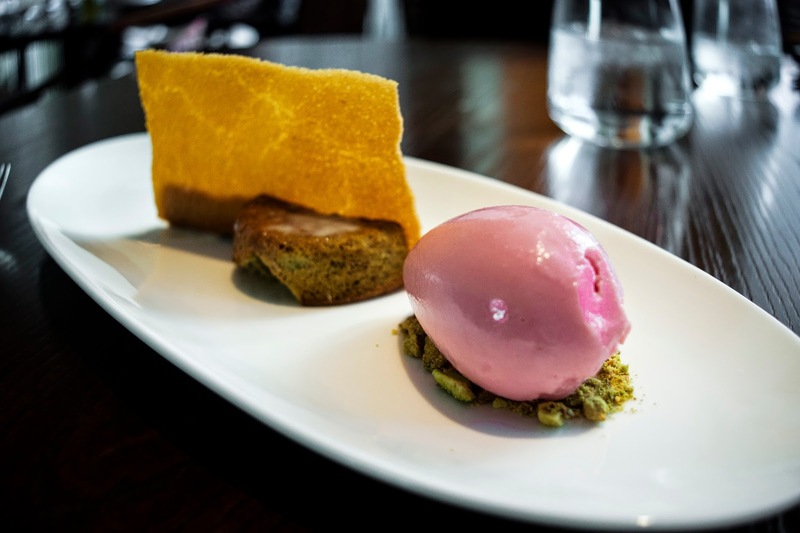 The zuccotto was decadently rich which is nice on the first few bites, but after such a large meal I was looking for a good palate cleanser, which the blood orange gelato did perfectly for me. Overall I was pretty pleased with my experience at Bibiana though I do wish that the chef was just a bit more light-handed with the salt. What really won me over was the exceptional service. My meal moved at the perfect pace, we were checked on often without feeling like we were being intruded upon, and my server made an effort to explain every course as it was brought out. They truly made me feel like I was taken care of.